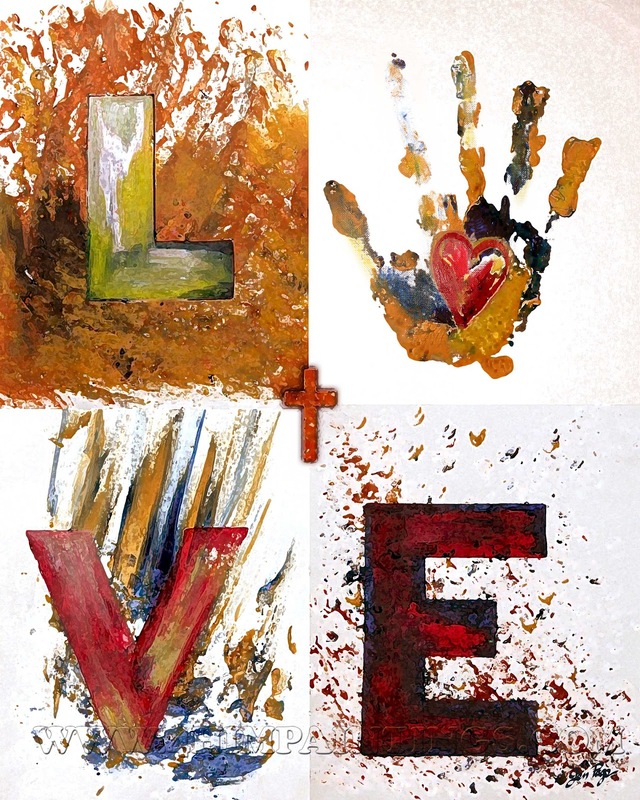 “Love and Unity” ~ what does that mean to you and I today? Lately these past few weeks the Lord has been ministering to me about Love and Unity within the Body of Christ. And to come together is Unity. As Unity is also a love in action. I have read this in both God’s word, the Holy Bible, and in “Journal of the Unknown prophet” http://www.unknownprophet.com/index2.html. A book by Author Wendy Alec in which she recorded what God spoke to her about people groups, regions, and subjects such as Love and Unity in the body of Christ. The lord has been speaking to me on unity along with Visions of seeing the brethren coming together. Seeing the sleeping Giant arise and awake. My kids and I recently watched this kid movie “Happy Feet 2”. I saw God’s LOVE in action in this movie and felt the spirit of God in this Movie. This movie was both portraying Love and Unity. My kids could pick up on that. It caused us to see the prophetic future of the churches, the ministries, and the Christian believers coming together as one. Tears came rolling down my face as we watched the movie. A painting recently made using a mix-media of different paints and tools. The main message in this painting is Love. This leaves a mark, an impression of the fathers love to his people. We can leave a mark in this world by being a vessel of love to Glorify God to bring others closer to him and reveal the truth in Love to them to set them free. We can love the unlovable. We can love our self’s to which Jesus lives inside of us. Love covers all. LOVE that is what God is made up of. His main DNA is love. My prayer is that God pours more of His LOVE into me so that I can LOVE others better. LOVE them into the kingdom of God. I Corinthians 13~ I encourage to read about LOVE today. I asked Holy Spirit how I can portray a painting on Unity. And He gave me this. These are two different living plants that produce good fruit. An olive tree and a grape vine. These represent believers Connected to the Heart of God. 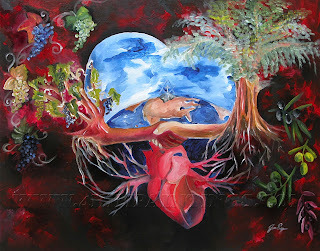 You can see earth within the heart. The Rock stands on the earth to which the Cross sits on and the Jewish symbol sets behind the cross in the sky to which represents A Jewish believer in Yeshua. The Tree type of each is shaking hands with one another Honoring each other. The 2 different types of anointing become one. I also did a study and learned that there are many more types of both grapes and olives. It was fitting to add the different types in. God is calling his people into Unity. As He says in many scripture references to His word to which I encourage you to look up: Psalm 133:1, John 17,Eph 4:13, Col 3:14. My Favorite is Jesus praying for us believers to be unified which in John 17. I’m sure you can find more on Unity. <but this is a few powerful LOVE statements that God is calling His children to come together. How do we do that? Lift each other up instead of tearing them down. Honor one another, thinking others more highly than yourself. If the Chinese Christians and the African Christians and the Asian and Middle Eastern Christian’s can come together, then what are we waiting for? How can we be more effective in reaching the lost, then us having LOVE for one another in brotherly and sisterly love in Christ? We have been sleeping for far too long. Let us Love each other and honor one another as though we are loving and honoring Christ Jesus. I have been learning about Honoring, learning that God can use a child to minister. God can use that unknown in your church to bless many in the church if just given them a chance. He can change a city with Unified Pastors not competing against one another. He can use anyone of us with a willing heart after Christ. To have a willing heart to serve him and have a willing heart to lay down their life for him. Unity, I am willing. Are you? I remeber a vision a minister had once about the end times the time we are living in That the sleeping giant the church was just laying there with all kinds of debri on it and it began to rise and shake off all the debri and as one body rising up together going forth doing the work of our with one purpose though all differnt parts Papa amen Ones a hand ones an arm etc but we need wach other no matter what our giftings,callings or seasons we are in There is power in unity ! !AMEN Just finished watching August Rush My teacher in inner healing class had us watch it but the revelation i got that Our Papa sang a unique song over each one of us and that music is in our DNA and He is singing that song calling each one of us back to himself for the purpose he called us to before the beginning of time together we have a work to dobut the enmy would try and distract with pedi divisions so we can't hear We all need to Listen for that sound and the song in the Spirit love you all ! !